Idle Hands Craft Ales updates us on their expansion process, their pending release of Epoch and thank their locals for continued support. Cheers! For those who have come by recently to see our expansion progress, thank you for your patience! The last few weeks the place has been a mess and the next few weeks are going to be even more interesting as we’re awaiting our new equipment to arrive and be installed. We hope to have limited disruption but this changeover will result in a few weeks that we cannot brew and therefore you might find us in conservation mode. What this means is that we want to make sure your favorites like Pandora, Triplication and D’aison continue to be available at our growing list of retail and restaurant partners but as our capacity and storage is temporary limited, our specialty beers (like Indelibly Yours) may take a back seat. Rest assured however, Blanche de Grace (our Belgian witbier) was brewed last week so the this refreshing summer seasonal should be available again soon. If watching us grow and saying hello isn’t enough to get you to the brewery, how about having an Epoch reason? We’re excited to announce the release of Epoch, the latest in our Cellar Reserve Series this Saturday, June 8th (12- 4 pm). Epoch is a tasty, Belgian dark strong that was aged in a rum barrel for 5 months. We think it’s a pretty “big beer” (especially at 9.5%), hence the name. In addition, we’re only weeks away from a new batch release of Charlton Rouge, our Flanders style red ale aged in red wine barrels. Both of these beers will go quickly as quantities are limited and they can only be found in Everett – so plan a visit soon! Thank you to all of the amazing volunteers we’ve had come by the brewery to help us with bottling over the past 18 months. If you haven’t had a chance to do so, this is an official call-out for volunteers on Tuesday, June 11th. Weekday bottling sessions start after 6:30 p and not only will we feed you, but you know you’ll have some refreshing beer after all of your hard work! If you’re not yet on our volunteer list, be sure to update your email preferences for our newsletter so you can receive our calls for help. Remember, we choose volunteers on a first come, first serve basis and are working hard to make sure everyone who wants the opportunity to volunteer has a chance. Bear with us as we’re limited to 2-3 volunteers at a time but we promise, once the bigger system comes in, we’ll have more opportunity to get everyone through. 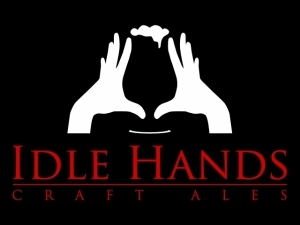 Finally, we know you have a lot of new local craft beer choices in the area and we THANK YOU for making Idle Hands a tremendous success among an amazing peer group. If you agree that Idle Hands is your favorite local brewery, please vote for us by July 14th in the Boston A-List competition sponsored by WGBH. Brewed, bottled and distributed only in the 128 beltway, you can’t get more local than Idle Hands! PS A cycling jersey order will go out next weekend for those still on the fence. We are only doing pre-orders for individuals and won’t have extra stock in the brewery so please let Grace know asap if you’re contemplating getting one. Join the Idle Hands peloton by sending an email to [email protected] with questions or your pre-order ($60) today.